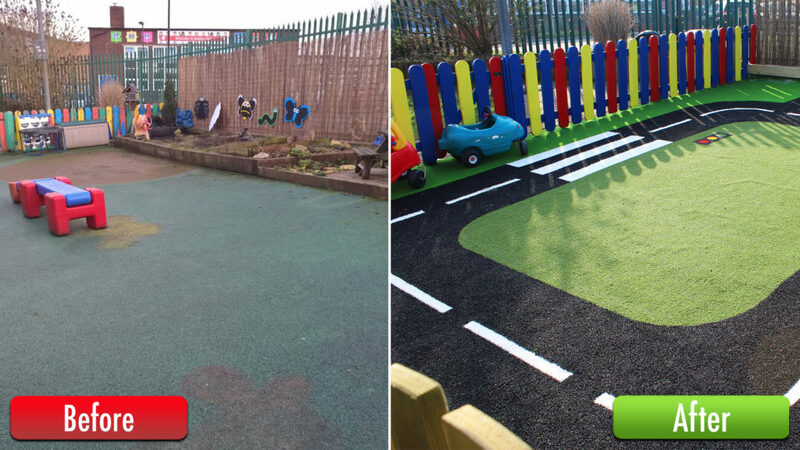 PlaySmart has recently completed surfacing makeovers on two outdoor play areas at Sure Start Centres. At the first in Rowley Regis, the existing area was well used, and as a result was just a little tired. We’re often approached by children’s facilities looking for surfacing in a range of textures and materials to add interest to outdoor space. In this particular location, they wanted a low maintenance, colourful option to encourage play. We felt removing some of the existing planters to create room for a roadway and an artificially grassed area was the best use of the space. 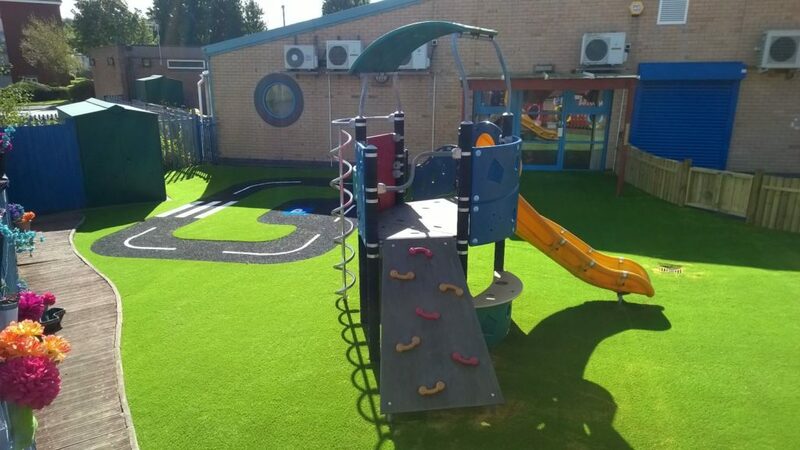 We were approached by a second centre in Tipton who were looking to make a similar feature of their external space around existing play equipment. Both centres now have great new features for their children, who’ll hopefully make the most of them for many years to come.